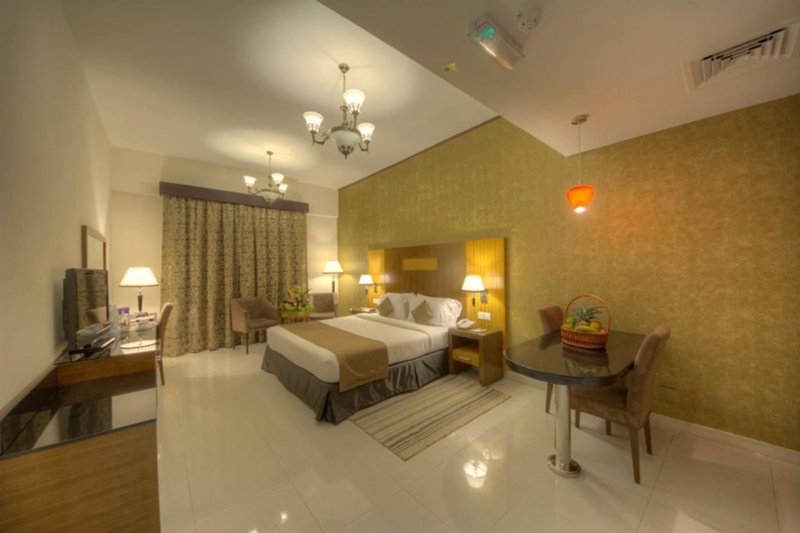 This splendid hotel is located only a five-minute drive from the international airport and ten minutes from the coastline of the Gulf of Oman in Fujairah. Visitors will be able to reach Dubai in about an hour's drive, while Fujairah itself offers crystal-clear waters and a rugged landscape, making it ideal for mountain treks and scuba diving. The hotel's spacious and elegant rooms and suites feature Wi-Fi internet access and complimentary tea and coffee. Guests might unwind with a workout in the modern fitness centre after a busy day of meetings, or relax in the sauna, steam room, pool and Jacuzzi. The hotel boasts seven restaurants serving authentic North and South Indian, Pakistani, and Bangladeshi cuisines, some offering live entertainment and dancing. There is also a Philippine-style club, English pub and 24-hour café lounge, making for a diverse selection of casual and formal dining experiences. Noisy disco. Discos troublesome. Poor parking facility. AC not working. Hairdryer not working. No water pressure. Excellent customer service. Accommodating front desk. Friendly staff. Dusty place.. Good hygiene. Rooms were clean. Offered us breakfast in the restaurant. No breakfast. Awesome breakfast. Hotel restaurant not much. I didn't like restaurant. Amazing food. Slow internet. No wifi coverage. No wifi. Noisy disco. Faulty AC. A/C Perfect. Gym is small. Gym equipments not working. Empty spa.